Since ONCA has been set up there has been general rumblings that it is very worthwhile but not necessarily achieving what it set out to do: marrying science and art. Since January we have had “Nesting: A sense of Home” a show of huge success (which I will be talking about in my magazine to come! ), followed by “HOWL presents” and “From Syria With Love” in February making ONCA’s 2016 calendar considerably stronger than the past few years. I would like to take the time to commend them on their latest shows and hope that EARTH sets the tone for the rest of the year. 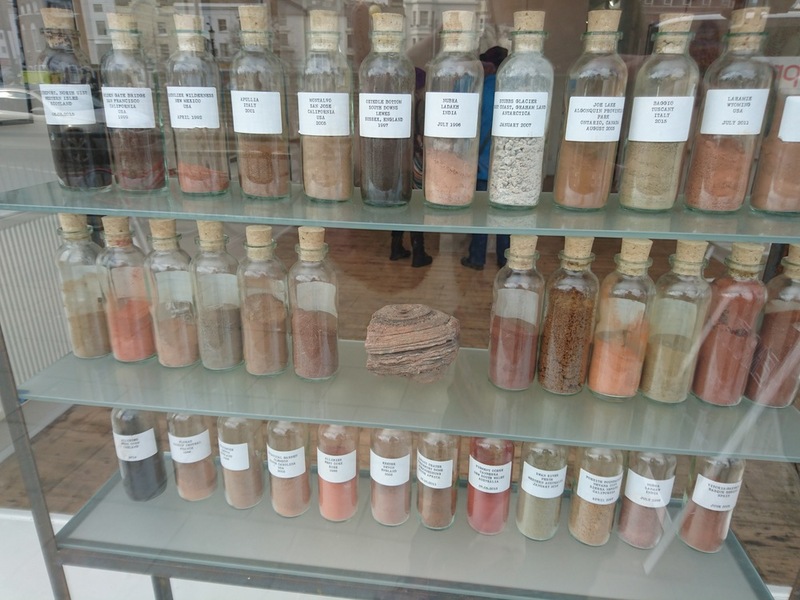 Their latest show “Earth” is, in my opinion, the best exhibition in Brighton this year, exploring themes of ecology and survival in highly inhospitable places. A joint exhibition that showcases two artists: Chris Drury and Daro Montag. Educational and visually spectacular the space is split with each artist having one floor, Drury upstairs and Montag downstairs. With previous exhibitions at ONCA split and wrapped around other exhibitions or ongoing events it makes it a real relief for me as a viewer for the whole space to be completely dedicated to these two artists. This allows each artist to truly inhabit the space and allows the artwork to breathe and live in the space. 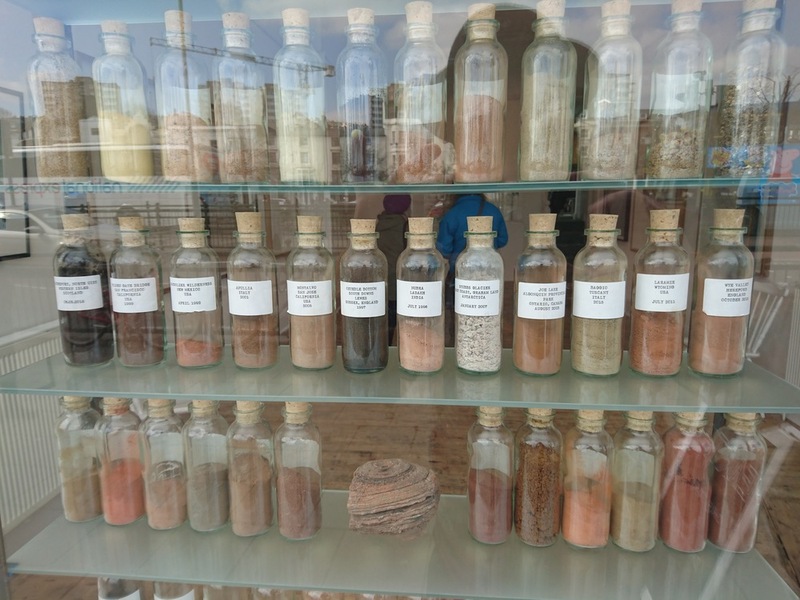 The exhibition begins with a site specific installation created for ONCA’s space, viewable from the outside, confronting passers-by with meticulously documented soil sample from around the world. 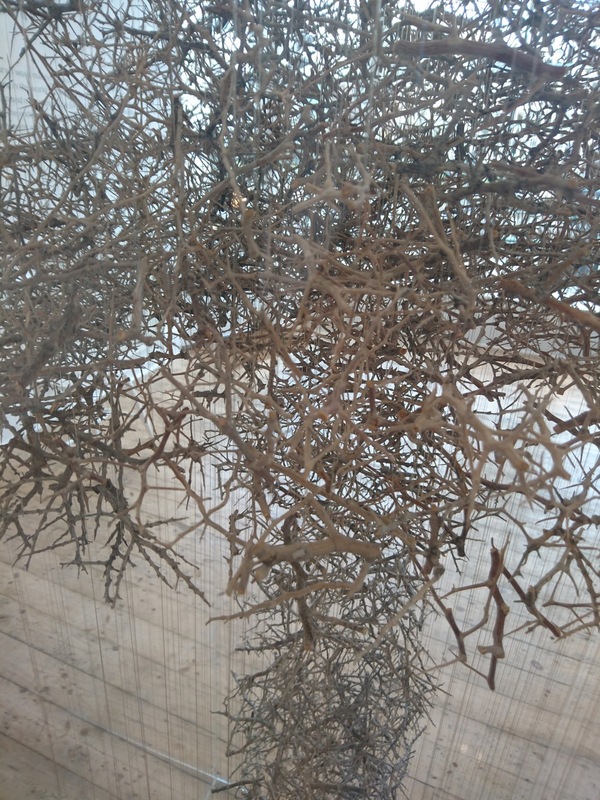 Whilst initially interesting and undeniably satisfying this wasn’t the thing that got me in the door, it was the wonderful mushroom cloud created from 2000 twigs collected at the Nuclear Explosion Test field in Nevada. The piece, of huge similarity to Damien Ortega’s hanging installations, dominates the exhibition and is both the starting point for deciphering what the exhibition and Drury’s work is about, but also visually stunning with constantly changing focuses and imagery depending on how closely you look at it or not. Surrounding the piece are pieces that explores survival and endurance through various techniques and mediums. Prints next to the mushroom cloud exhibit the gene sequences for microscopic creatures that live in barren, or difficult places to live. One is the sequence for Microcoleus Vaginata, the only thing to actually live in the test site in Nevada and is an ancient organism that converts carbon dioxide to oxygen paving the way for life as we know it now. 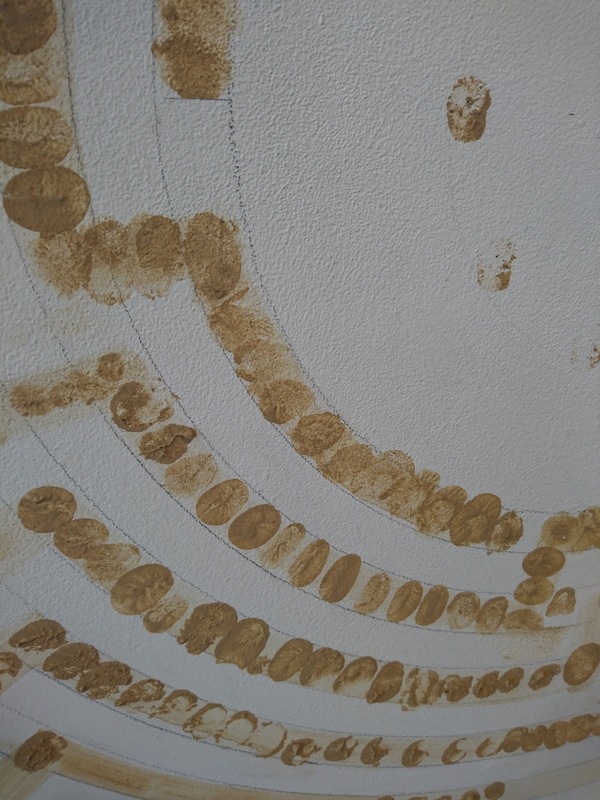 This, combined with the whirlwind symbol constructed from thumbprints of visitors to the gallery creates a powerful narrative to his work. One of nature’s survival and humanity’s effect on the environment as we know it now and the important role we all play in the need to stand in solidarity with nature. And, by seeing his pieces in one place, including another set of prints which feels inspired by Peter Randall-Page’s, we can see his warning: look after nature. If upstairs is Drury’s warning then downstairs Daro Montag has attempted to give us a way of solving the problems created in our own way. We are introduced to RANE-CHAR a material created from charring wood that can then be buried creating very fertile soil from old plants grown above. This was used for many years by indigenous tribes in the Amazon and renovated poor fertile soil there into Terra Preta. Montag has taken this idea, charring wooden animals bought from charity shops whose wood is from South America, with the aim of creating work that will allow him to be carbon neutral for a year. As well as being wholly worthwhile and challenging for himself, once assembled the visuality of the exhibition is a charming room of charred animals that create a strangely homely feel. I loved this exhibition. From start to finish it personified exactly what ONCA should be striving to do. Marrying arts with science, making both communities interested in the other and working together to deal with the problems that we all face. Problems that must be faced now, before it is too late. The exhibition is on until the 3rd of April, you can see full details for the exhibition by clicking here. REVIEW: Luminary by Ron Haselden - Part 1.